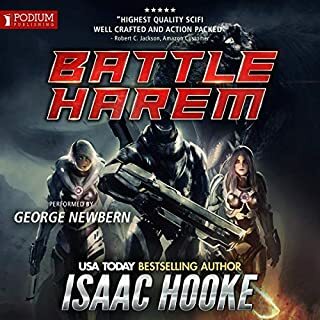 On a mission to stop the Foundation from creating an army of cyborgs, wanted felon Brayden Sawyer is trapped far from his ship and crew in the last place he wants to be...Earth. 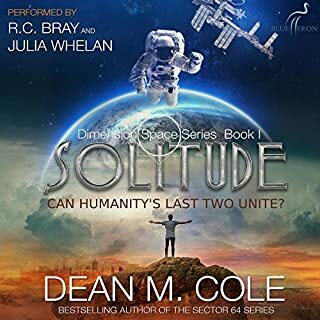 With the Foundation hot on his heels, Bray must ask his family for refuge - a family who always preferred his brother Gryffin over him and kicked him out of their lives a decade ago. When his family rejects him a second time, Bray wonders if saving Gryffin - and completing his mission - is worth it. All his life, he's been second best to his brother, a brother he never really knew. But turning his back on Gryffin is out of the question and he won't let the Foundation do to others what they've already done to him and Gryffin. Breaking into Foundation headquarters, Bray comes face to face with the horrible truth about his brother's cyborg enhancements as well as his own modifications. And that's not all...the Foundation is set to destroy a planet of innocent people, using Gryffin as their number one weapon. With time running out, Bray must finish what he started. 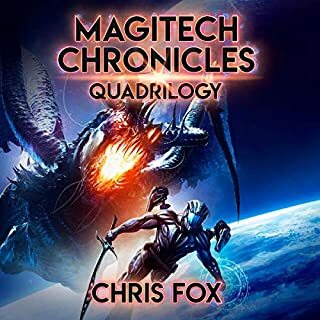 Together with Garvan and his family, Bray must escape Earth with the necessary technology to save Gryffin and stop the Foundation's evil plans. But can one man stand against the all-powerful and tyrannical Foundation? If Bray can save Gryffin, he may just have a fighting chance. Have I got an Android for you. I would tell a friend to read the earlier books first..... can not give 5 stars since I need context from the earlier books. Bray is an interesting character with many layers. story come alive to the listener. Keith Michaelson has given us a great performance that brings real life to KA Finn's captivating work. 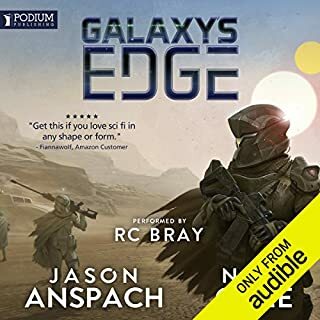 This audiobook was given by the author, narrator, or publisher at no cost in exchange for an unbiased review , it was so good I'm purchasing the first two books in the series. I believe you will like it too. This is a series that is definitely worth your time and credits. Very entertaining and enjoyable addition to the series. Loved diving back into the world of the Nomads. While I enjoyed this book I really wish it had been longer. I was so into the story that when it ended it caught me off guard. Those 5 hours flew by and left me wanting more. It's well written and flows smoothly with great characters and a very interesting story-line. What more could you ask for. Even though it's shorter than the previous installments the story doesn't suffer, there is still a lot packed into it. It's fast paced and full of non-stop action. Love the humor and sarcasm. It also leaves you hanging a bit. That ending was great but will leave you wanting the next book immediately. While all the characters are great, for me Garvan is a favorite. Really enjoyed that Brayden and Garvan were the main characters in this story. The story pulls you right back into the fight against The Foundation. Instead of battling The Foundation in space this time though, they are searching for information. Information that brings them to Earth. When they become stranded, it leaves Brayden with no choice but to turn to his family for help. A family that abandoned him a long time ago. Keith Michaelson does a great job with the narration. Nice voice. Very deep.Easy to listen to for long periods of time. Almost mesmerizing at times. He has one of those voices that just draws you into a story. Clearly spoken with a nice smooth pace. Great character voices. Perfect tone and delivery of the humor and sarcasm. He brings the characters, their emotions and the story to life. Very enjoyable. If you could sum up Perses in three words, what would they be? Everything, I really enjoyed listening to this one. Yes! It was really exciting and I wanted to know what was happening to the characters next. Garvan was my favorite character, the dialogues between Bray and him had me laughing many times. I was given this free review copy audiobook at my request and have voluntarily left this review. Would you try another book from K.A. Finn and/or Keith Michaelson? 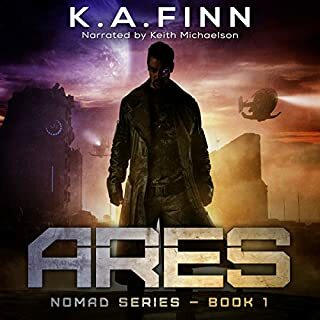 I would try another book by Ms. Finn because I'm hooked on the characters and the plot of the Nomads and how they are fighting the Federation. I also enjoy Mr. Michaelson's narration, and have actually looked for more books with his narration to add to my growing TBR Mountain. I was disappointed in the ending as I felt it was just setting up for the next novel. The first 2 books in the series, while also setting up for other books, seemed more complete than this one. As a reader I felt that there should be more to it, or perhaps I felt disappointed that the other books were much longer in nature than this one. What about Keith Michaelson’s performance did you like? Mr. Michaelson's performance was stellar as always. Could you see Perses being made into a movie or a TV series? Who should the stars be? Not this book per say, but the series as a whole yes. I could see some like Chris Evans or Chris Pine be a good fit for Braydon. Absolutely! The narration is so well done with different voices, tones, infliction's, and accents it is a treat to listen to. What was one of the most memorable moments of Perses? This story is more emotional with memories of the past, and Bray working through everything from when he was young through now. The feelings he felt toward his parents and his brother were those of a child that didn't see or know the whole story. Then, he has to tell his uncle and cousin about his family in the here and now. I was touched by what Morgan told Bray of his mother and father. Bray didn't remember or see the adult side of things and it was touching to hear about them. Oh yes. Keith is one amazing narrator. I love listening to his work. I looooove his voice. Okay, serious stuff now. He voices the characters with their own voice through tone, accent, and heart. The inflection he puts in each character brings them to life as their own whole person. Wow. I'm drawn into the story and forget he's a narrator because the characters come to life as individuals. That's amazing work! Bray and Garvan. Yes ma'am. And thank you. These two characters were growing to be some of my favorite secondary characters in the previous two books. Well, they aren't the only ones. So to get the treat of them together and fighting to survive along with learning about their pasts, sign me up! I was thrilled to get into this story with them. We get the story from Bray's POV on Earth. We also get sections from One's POV. These sections are very, very insightful. One is on the council that's behind all that's going on. We get to learn about their new colony they were trying to build. I'm not 100% sure about this colony and where it's at, but I'm sure it's going to be something mentioned more in the future. And the biggest piece of information.... One's behind Garvan being put in prison. Garvan knows something that could destroy One and everything he's working for. This puts a target on Garvan's head. We also get scenes from Garvan's POV, which are important moments when things start moving in their plans. The beginning felt slower, because there wasn't much Bray could do on Earth. I had an idea but wasn't sure how he was going to take on a huge Foundation headquarters on his own. But we get personal with Bray and Garvan. Then it all comes together and we get to what the Hunters do best. Fight. This is another wonderful addition to the Nomad series. I always enjoy the writing and narration in the biggest way. I look forward to more books! What did you love best about Perses? Which character – as performed by Keith Michaelson – was your favorite? I understand why.Keith Michaelson is completely worth the wait. How he manages to create so many unique voices and keep them straight, I'll never know but it's a true gift and talent he has. He really does have a thousand voices and he delivers his lines with a passion for the material. I love his narration work, and I've bought books I'd never have bought just because he was the narrator and I've yet to be disappointed.I think in this book I like One and Garvan's voices the best. You'll find any book I've reviewed with Keith as the narrator will have me gushing because he's just that good. As a listener, I truly appreciate the effort it must take to give every character its own voice. This book was shorter than the previous books and I think I did listen to it in one setting. Once you are drawn into KA's word, it's hard to pull yourself away from it. This book is part of the Nomad Series and is a bit different from those because it's mostly set on Earth. The previous books were set in Space and aboard a ship but they do have some of that in this book. All have been great futuristic/space opera. So join in on Bray and Garvan's quest to stop the foundation from making any more Cyborgs like Bray's brother, Griffin.You can't go wrong with K.A. Finn paired with Keith, it's a truly entertaining match made in heaven. Get this series! You won't be disappointed.If you found this helpful, please press yes. This short but action packed entry into the Nomad series is a welcome addition. The sneak peek of Cronus at the end is enough to tie this seeming one-off into the main series. Michaelson is stellar for this material. Captures the seriousness, sarcasm, fear...every emotion. The Audible synopsis does well to explain the story and I will not mention more in the fear of giving something away. The beginning of the book moves a little slower as it has the main characters trying to gather information on the Foundation, it’s cyborg work and to gain the help of Brayden‘s family. We get some action in the later half. This does not mean it is boring however. I enjoyed this story, and despite not having read/listened to any other books of this series, I was able to understand the flow of this one. It is not a stand alone book. There are some gaps that it is necessary to read the first two to fully understand and the following book(s) for the conclusion of the story. Despite this, I enjoyed the plot, I’m interested in reading the previous books and look forward to reading future ones in this series. I have not listen to any other books by this narrator but would happily do so again. He did well in giving each character a separate voice and I enjoyed the accents he used. His female voices were well done. He brought the excitement and action to the story in his narration. So, I will preface this review by admitting that I started this series with this book. I did not have the background information from the first 2 books to understand everything that was going on. At only 5 hours, there just wasn't enough time for the author to backfill the story so it can stand alone. Because I started in the middle, I couldn't, in good conscience ding the rating based on my own ignorance. I was still able to enjoy the book's action and dialog, even if I didn't completely understand. The narration is really good, so I was at least entertained. Entertained enough that I am contemplating going back for books 1 and 2 since they are so much longer. If I do, I'll probably re-listen to this book and see if I get more out of it. "Dead men don't generally have friends." Although not essential to have read the previous books, the background information they have supplied, both to the society and Foundation itself and to Bray's family connections, certainly adds to the understanding and enjoyment of what is happening, especially in the earlier part of the story. However, it can be read as a standalone and will still fulfill all of the excitement expected. The characterisations are very good and the dialogue, of which there is much, excellent. The tension is there from the very beginning and does not falter to the extremely provocative ending, leaving the listener with the desire to immediately progress to the next book - after a brief period of gulping down air to contemplate and revive! Written in the present tense, the story is very immediate, the listener is right there in the action. And this is enhanced by Keith Michaelson's narration as he keeps pace with the excitements, terrors and battles which ensue. His voicings of the various protagonists, too, is individual and distinctive, with some slightly strange, but consistent, accents. An enjoyable performance. It is easy to empathise with the main characters and their predicaments. 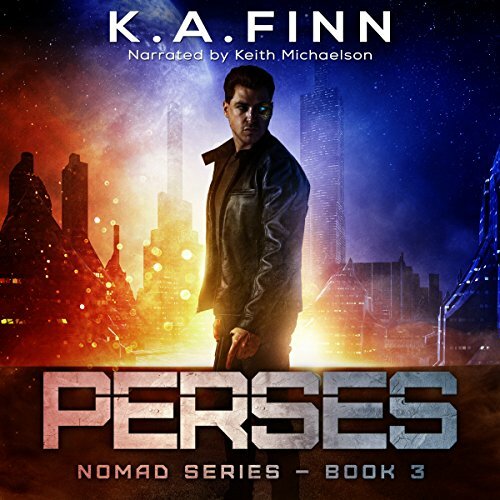 My thanks to the rights holder who freely gifted me a copy of Perses at my request, via Audiobook Boom. This is an exciting incident in the Nomad series and well worth hearing.even if the previous two volumes have not yet been heard. Lol... nothing to do with perses. very disappointed only 5 hrs long. Others were 10hr & 15hr. Other than that great performance. Story should be a lot longer..
What Happened? Only 5 Hours! Seems to be jogging along quite nicely, but has cooled off a bit since the earlier two books. That coupled with the short measure of only 5 hours feels as though the author is trying to drag the series out, hence only 4 stars. This is the first of the series i have got but the overall story is given in the background so its quite easy to catch up. The two main characters are brought to live well and it doesn't take long before we are invested in their story. I found the basis of the series interesting and would get 1st and 2nd chapters of them, probably in ebook format as its a little easier to flick back and forth between chapters to get a better feel for everything. The narration is well done and the gruff voices especially work well for the two main characters. This story was gifted to me in exchange for an honest review and as such is my own personal opinion.